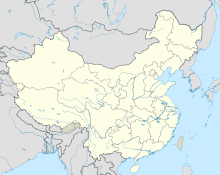 Mohe Gulian Airport (Chinese: 漠河古莲机场) (IATA: OHE, ICAO: ZYMH) is an airport serving Mohe County in Heilongjiang Province, China. It is the northernmost airport in China and the first Chinese airport built on permafrost. Construction started in June 2006 with a total investment of 236 million yuan, and the airport was opened in June 2008. The airport has one runway that is 2,200 meters long and 45 meters wide, and a 2,000 square-meter terminal building. It is designed to handle 120,000 passengers annually. This page was last edited on 16 April 2019, at 17:52 (UTC).